We have offices conveniently located in Winter Haven and Lakeland. Call us today to make an appointment at the location that works best for you and your family. Dental Implants. The ultimate tooth replacement solution. Natural looking. Reliable. See how you can restore your confidence, eat anything you want, and maintain a healthy, natural smile with dental implants. We appreciate the trust you place in us. 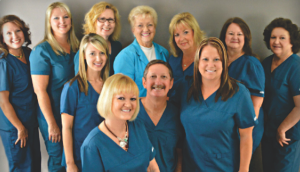 Our #1 goal is to provide the highest quality periodontal care in an expertly-staffed, high-technology practice. Using proven state-of-the-art technology to enhance your experience, we maintain the most advanced procedures and equipment available to ensure that every patient achieves a healthy and beautiful smile. Having a healthy smile as you get older isn’t just for aesthetic reasons. It keeps you on the road to optimum oral health. Research has indicated possible links between the bacteria causing gum disease and systemic diseases like cardiovascular disease, respiratory disease, diabetes, osteoporosis and pre-term birth; therefore, visiting your dentist regularly is imperative. In addition to examining and cleaning your teeth, your dentist will screen you for oral cancer, which generally occurs in people ages 45 and older. Making all our patients feel right at home is very important to us! We put your needs first to achieve efficient and comprehensive treatment. Our staff is trained and skilled, and we strive to provide energetic and friendly service to each patient. Polk Periodontics Dental Implant Center provides a variety of surgical and non-surgical services. We pride ourselves on the fact that we are conservative in our treatment recommendations and resort to surgery only when it is necessary. 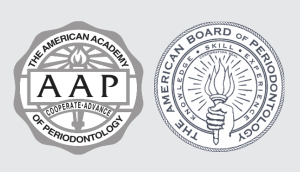 The American Board of Periodontology administers the board certification process for experts in the dental specialty of periodontics. The board was formed in 1939 by the American Academy of Periodontology to maintain a high standard of care.